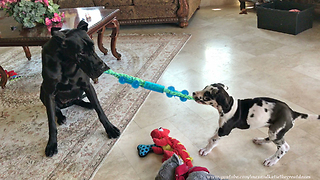 Rumble / Dogs & Puppies - Dogs are very adorable and extremely loyal to their masters. This is the main reason why there are thousands and thousands of individuals worldwide who are raising their own pet dogs. As a matter of fact, the number of dog lovers all throughout the globe is increasing day by day. Even if you are not a dog lover, you will certainly feel the urge of raising your own dog due to a number of reasons. One good reasons is the fact that raising your own pet dog can be an effective therapy, especially if you are a little bit stressed or suffering from a certain illness. Before getting your own pet dog however, you need to take into account a number of things. 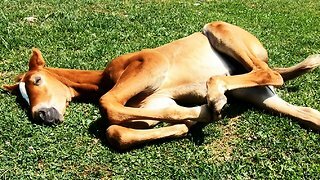 One adorable breed of dog that you can have is the Great Dane. 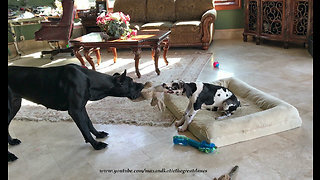 Just in case you do not know, Great Dane belongs to a German breed of dogs and it is popular enough as a domestic dog. 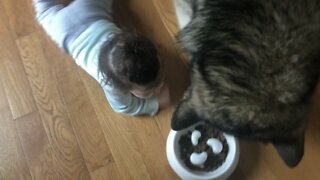 One great distinction of this particular dog breed is its big size. Hence, this might be a perfect choice for you if you are looking for a bigger sized dog to raise. Even though it’s a fact that this dog has a huge size, its adorability level is never affected. You might be asking how Great Dane became a German breed. Well, the main reason behind this is the fact that Germany was the country of origin of this adorable dog. In fact, it has cute German name which is Deutsche Dogge. In some other places in the world, this type of a dog is called Apollo of Dogs, German Mastiff, or Gentle Giant. Do you want to witness the great adorability of this canine? Well then, take time to watch this video. 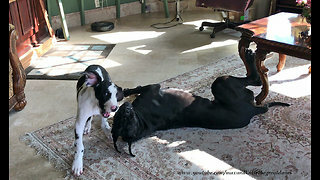 In this footage, you can see a pigmented white and black colored Great Dane that is enjoying itself in the shower room. 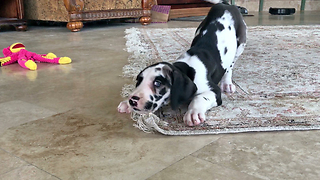 This very cute Great Dane is named Mikey. 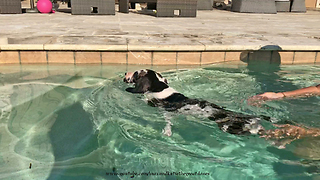 From what you can see here, Mikey is one of those few dogs who love to play in the water. He is trying to catch the water that continuously drops from the shower head. He is just like a kid playing in the shower. Isn&apos;t it so cute to watch? Some might say, this dog is weird, but this is what makes Mikey extremely adorable. All over the world, Great Dane is known to be the tallest breed of dog that you can ever find. Of course, there are several options that you can choose from, as far as the color is concerned. You can have a mix colored one, white, black, brown and several others. 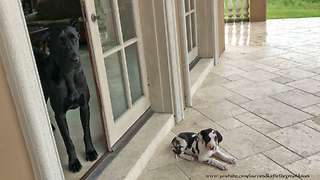 The regal appearance of the Great Dane is one thing that you will definitely love about it. It has a smoothly muscled body that makes it more adorable to the eyes. You can compare this one to a person who always spends some time working out in the gym. 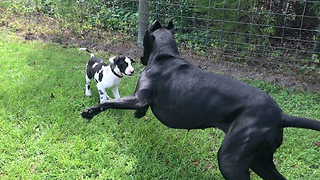 Great Dane is one great breed of dog that you will definitely not regret raising. Share this video and spread the fun while watching such an adorable pet dog.